The apartment consists of a spacious living room with a dining area and a fully equipped kitchen, a bedroom with a bathroom, a toilet and another separate bathroom with shower and a separate toilet with a spacious garden. The interior of the apartment is furnished with designer furniture, a comfortable sofa set, a living room with high-quality wooden flooring with pleasant floor heating, satellite TV and quick wi-fi internet access. The big windows of the apartment aerate and fill it with light. The beautiful, spacious garden attracts you to relax, thanks to partial roofing, which enables the usage of garden during unpleasant weather. Fully equipped kitchen is equipped with modern facilities : glass ceramic hob, hood, electric oven, microwave, dishwasher, refrigerator and a separate freezer. The bedroom with a nice, high-quality carpet is furnished with plenty of wardrobes and a comfortable bed with anatomic mattresses. Darkening blackout curtains will certainly be appreciated not only in the summer months. Direct access from the bedroom to the bathroom with a shower and a toilet adds a high amount of comfort to the apartment. The advantage of the apartment is another separate bathroom and a separate toilet, washing machine with a dryer is surely included. 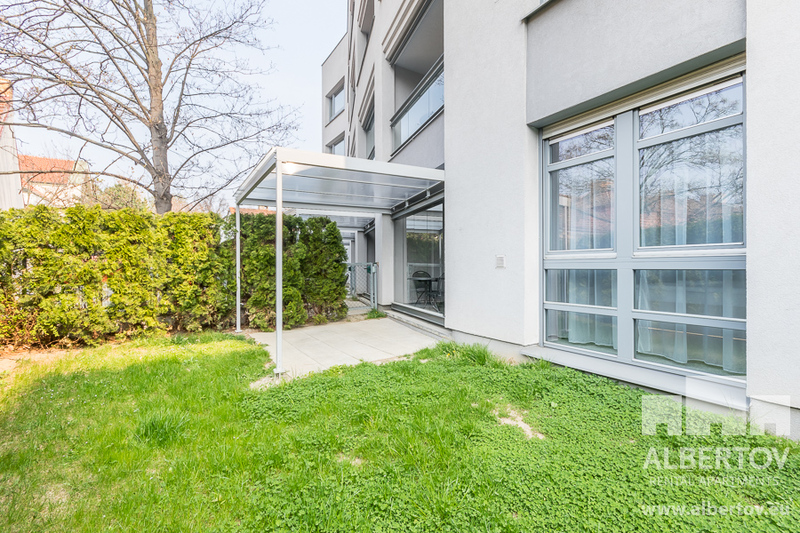 The apartment is located on the ground floor of a closed complex of six rental buildings of Albertov Rental Apartments, in the desired location of Prague 2, in a quiet area under Vysehrad. 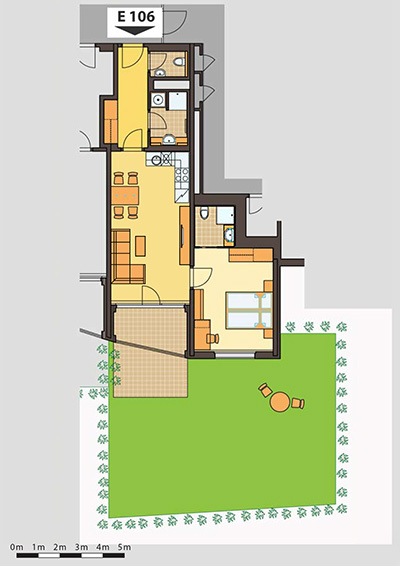 The location is a few stops from the center of Prague and the tram stop is right in front of the residence. Shopping options as well as renowned restaurants are in the building. There is an easy accessibility to and from the underground garage with the elevator. Experience the feeling of home with the comfort of a hotel, that is living in the friendly Albertov Rental Apartments.